Wagashi – 望み – What is that you desire? 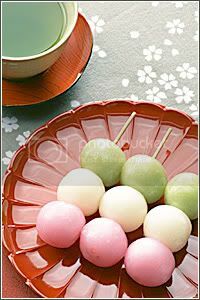 (Japanese: 和菓子) is a general term for traditional Japanese confectionery, especially the types made of mochi, red bean paste, and fruits that are served in the Japanese Tea Ceremony. Wagashi is typically made from all natural, plant based ingredients. The names used for wagashi commonly fit a formula—a natural beauty and a word from ancient literature.